If you are wondering why some of your Facebook friends are marking themselves safe when they aren't in Pakistan, then you’re not alone. Facebook’s otherwise useful Safety Check option had a bit of a malfunction today, sending people notifications which prompted them to mark themselves safe despite being nowhere near the affected area of Lahore. Facebook apologised for the mishap in a post on the Disaster Response on Facebook page, explaining the glitch was caused by a bug. “Unfortunately, many people not affected by the crisis received a notification asking if they were okay. This kind of bug is counter to our intent. We worked quickly to resolve the issue and we apologize to anyone who mistakenly received the notification,” the post said. The tool was designed to let users indicate to their loved ones that they are safe in an area affected by tragedy. Facebook activated the Safety Checks on Monday after a suicide bomber killed at least 65 people at a park in Lahore on Sunday in an attack claimed by a Pakistani Taliban faction. “We hope the people in the area of the bombing find Safety Check a useful and helpful way to let their friends and family know they are okay," the post said. The faulty notices are among other criticisms of the Safety Check, with the tool also being criticised for selectively being activated. These complaints came after the tool was deployed for those affected by the Paris attack in November but not after the suicide bombings which occurred in Beirut the day before. 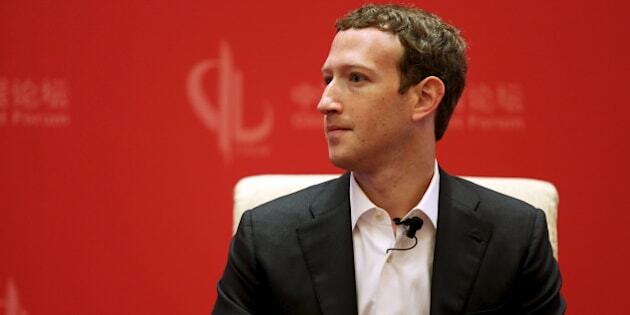 Mark Zuckerberg also took to Facebook on Monday to confirm the Safety Check had been activated for Pakistan. “This morning we activated Safety Check in Pakistan after a bomb targeted children and their families in a park in Lahore. Over the last two months, we have activated Safety Check several times for acts of terror -- including in Turkey and Belgium -- so people in the area can let their friends and loved ones know they're safe,” the post said. Many users who were mistakenly sent the Facebook notifications and texts took to twitter to post screenshots and air their confusion. Others explained how they thought it was a tactic by Facebook to spread awareness about the tragedy. Facebook's Safety Check is low key spreading awareness about the terrorist attack in Pakistan.